From Former Road Warrior: “Re: HCTec Partners. Checks went out this week to 2,271 current and former consultants who were not paid overtime for working more than 40 hours in one week. The total settlement was $4.5 million.” Unverified since court documents are now almost always unavailable without cost, but I can at least see that the case was settled in July. From Fall Out Boy: “Re: hackers at Lutheran Hospital. Owner Community Health Systems provides the IT network for spinoff Quorum Health and was infected by malware via QHC’s network. CHS still has several thousand unpatched Windows 2003 servers that include McKesson Horizon applications used at Lutheran. CHS had to shut down those Windows 2003 servers to contain the malware. The upgrade project has been going on for three years now without any results.” Unverified. It’s officially fall. Soon it will be the winter holidays and then HIMSS19. That means it’s time for my usual end-of-year deals for new HIStalk sponsors and webinar presenters, whereupon I look away demurely as Lorre offers inducements like a car salesperson anxious to make quota (and to re-stroke my fragile ego with such markers of industry relevance). See what it’s like being one of the cool kids who get a figurative leg up on their less-hip competitors. Now is better since it will get crazy in the less than six weeks between New Year’s Day and HIMSS19. Adventist Health Bakersfield (CA) will do away with 60 financial services jobs early next year as part of a billing and collections outsourcing deal with Cerner that has already impacted 175 employees over the last six months. The majority of those were re-hired by Cerner and stayed on at the hospital. Cerner has said it will invite the next wave of laid-off staffers to apply for positions at its Missouri headquarters, though as one angry ex-Adventist employee notes, they’ll be competing with former Adventist employees from other parts of the country. 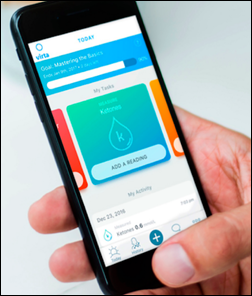 Los Angeles-based Aiva Health, which has developed virtual assistant-based patient engagement and care coordination software, secures funding from the Google Assistant Investment Program and Amazon’s Alexa Fund. 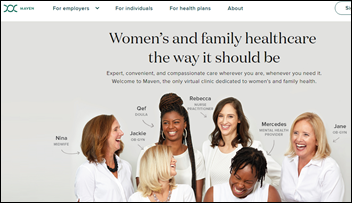 Women’s virtual health company Maven raises $27 million, increasing its total to $42 million. 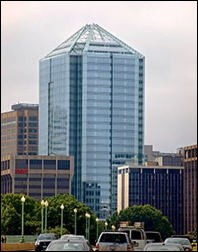 Cerner will move into 38,000 square feet of office space in Rosslyn, VA to house employees working on the company’s contracts with the VA and DoD. Jawbone founder and CEO Hosain Rahman tells ReCode that the company has pivoted from fitness trackers to a device-agnostic remote patient monitoring business that will act as a health check-engine light for monthly subscribers. The new Jawbone Health will use Salesforce’s Health Cloud to securely share customer data with providers, who it seems will then weigh in with treatment advice. The company, which has shrunk from 600 to 110 employees, sputtered out in mid-2017 after mounting financial pressures and competition, including a lengthy patent infringement lawsuit against Fitbit. Cerner expects its Cerner Health Conference to bring 14,000 attendees to KCMO October 8-11, with the conference theme being “Smarter Care.” CHC will also serve as the coming-out party for Chairman and CEO Brent Shafer as well as the resigned Zane Burke’s semi-replacement, Chief Client Officer John Peterzalek. Virtual coaching vendor Virta Health hired some new executives this week, which wasn’t as interesting as a review of the components of its type 2 diabetes program – physician supervision, an individualized treatment plan, a personal diet and health coach available by chat, and digital health devices that collect readings in an app (a digital scale, blood pressure cuff, and glucose testing supplies). Mandira Singh (Athenahealth) joins Collective Medical as head of product. SnapMD hires Deric Frost (Equality Health) as chief revenue officer. The Chartis Group appoints Mark Krivopal, MD (GE Healthcare Partners) to its Performance Practice leadership team. Kristi Ebong (Cedars-Sinai) joins Orbita as SVP of strategy and general manager for healthcare providers. 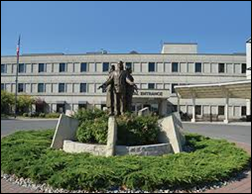 Pershing Health System (MO) will install Cerner Millenium via CommunityWorks. CHI Franciscan Health (WA) will work with GE Healthcare to develop an AI-powered command center to better coordinate patient stays. Signature Healthcare (MA) selects care coordination and communication software from Medarchon. Cabell Huntington Hospital (WV) will implement Wolters Kluwer’s POC Advisor for sepsis surveillance. Geisinger will deploy Chess Health’s addiction management technology at its Medication Assisted Treatment Centers in Pennsylvania. Three DoD facilities will implement Vecna’s patient check-in solution. 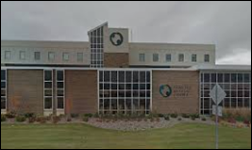 UnityPoint Health–Marshalltown (IA) transitions to Epic as part of a system-wide roll out. Centric Home Health & Hospice (TX) implements DrFirst’s Backline secure messaging software. Olmsted Medical Center (MN) will go live on Epic this weekend, replacing Cerner CommunityWorks inpatient and McKesson ambulatory. 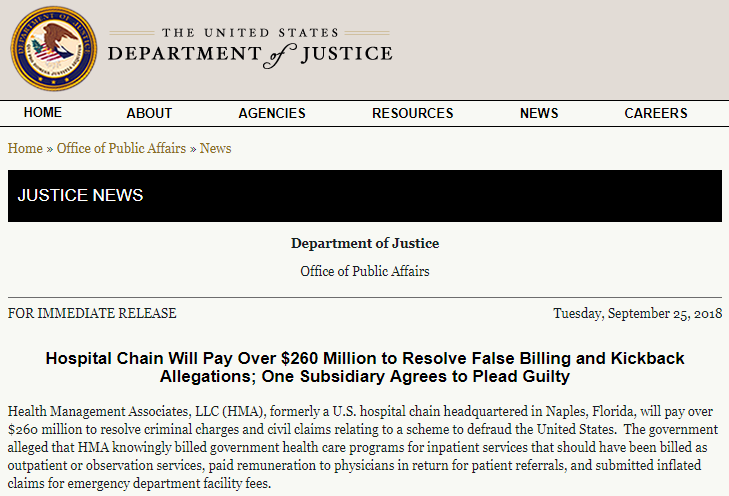 Health Management Associates pays $260 million to settle whistle blower lawsuits related to allegations that HMA coerced its physicians into unnecessarily admitting ED patients to the hospital. 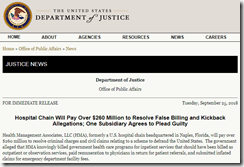 One lawsuit contended that HMA set up admission benchmarks driven by cost projections rather than medical necessity, which resulted in CMS footing the bill for Medicare and Medicaid beneficiaries. 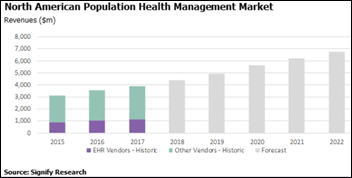 Community Health Systems bought HMA in 2013 for $7.6 billion and has struggled to adjust to the acquisition, which left it $14 billion in debt. CHS sold off 40 hospitals and laid off 70 corporate IT employees earlier this year. A survey finds that 72 percent of consumers don’t think insurers should be allowed to use big data to determine insurance policy risk, 55 percent think it’s just as threatening to have insurers accessing private data as Facebook, and 18 percent would allow insurers to test their DNA if they might get lower prices. Startlingly, 8 percent said they would allow a video camera to be installed in their home and 11 percent would be OK with having a biometric tracker installed in their body if it might lower their rates. One in five respondents say no correlation exists between their health and their social and economic situations. As other surveys have found, Americans are strongly pro-privacy until someone offers to pay for their most precious secrets. Brilliant: a Twitter user describes how she used IOS 12’s scripting-like shortcut creation tool to create a Siri-launched Mayday shortcut that sends an “I’m in trouble” text message to friends that includes her latitude, longitude, altitude, and Wi-Fi network name (to help them find her in, including if she’s in a large building or shopping mall); her phone’s battery level; her IP address; and a warning that the phone will automatically go into “do not disturb” and “low power mode” to avoid alerting whoever is threatening her that help is on they way. She just has to say, “Hey, Siri, Mayday” and her IPhone does the rest. Memorial Sloan Kettering Cancer Center quickly ditches the AI-focused “Harnessing Big Data” theme of its annual fund-raising campaign following its Paige.AI equity controversy. 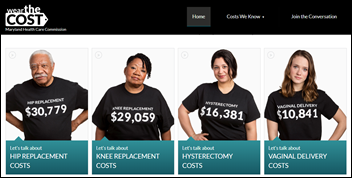 The campaign, which usually raises around $1 million, will instead emphasize patient care. A radiologist who was transported by helicopter to a trauma center in Texas is left holding a $45,000 bill from national air ambulance Air Evac Lifeteam after his insurer agrees to pay just $12,000 since this particular company is not in its network and bystanders who called for help had no way of knowing that. The air ambulance company and several others are owned by private equity firm Kohlberg Kravis Roberts. Their charges are considered aviation rather than healthcare expenses, so they can (and do) charge whatever they want. The radiologist lost his arm in the accident, soon to be followed by his remaining arm and a leg courtesy of KKR. The industry’s trade group claims each flight costs an air transport company $10,200, but they have no choice but to stick insured patients for higher amounts to cover Medicare, Medicaid, and uninsured patients. Elsevier Clinical Solutions will exhibit at the American Society Clinical Pathology 2018 Annual Meeting October 3 in Baltimore. EClinicalWorks, Ellkay, Healthfinch, Intelligent Medical Objects, and PMD will exhibit at MGMA September 30-October 2 in Boston. PatientPing selects Amendola Communications to support its growth initiatives. Crossings Healthcare Solution develops Cerner MPage-driven Insulin Management Advisors that provide evidence-based recommendations for IV fluid management, glucose correction, electrolyte replacement, acidosis and anion gap correction, and subcutaneous insulin transition. Healthfinch achieves HITRUST CSF Certification. Healthwise will exhibit at AdvancedMD’s Evo18 conference October 2-6 in Salt Lake City. InterSystems will host its Global Summit 2018 September 30-October 3 in San Antonio. Kyruus announces a panel of leading health system CEOs at its upcoming 2018 Annual Thought Leadership on Access Symposium October 15-17 in Boston. Good for Wilkie recognizing that the impact of their project has upstream and downstream implications. Ownership of vet care outside of his immediate sphere is a positive sign. I wish him luck. Thank you for sharing the Mayday tweet. I added to my iphone and will be adding to the other iPhones in my family. I also shared with my friends on Facebook. Hopefully it can help save a life someday.